National Geographic recently switched status from being a non-profit organization, thereby ending a historic run for a magazine that has delivered with some compelling information over the years. The photographs, videos and features created by Nat Geo has shaped the way people look at the world around them. The following list is a tribute to the best photographs featured on National Geographic magazine over the years. 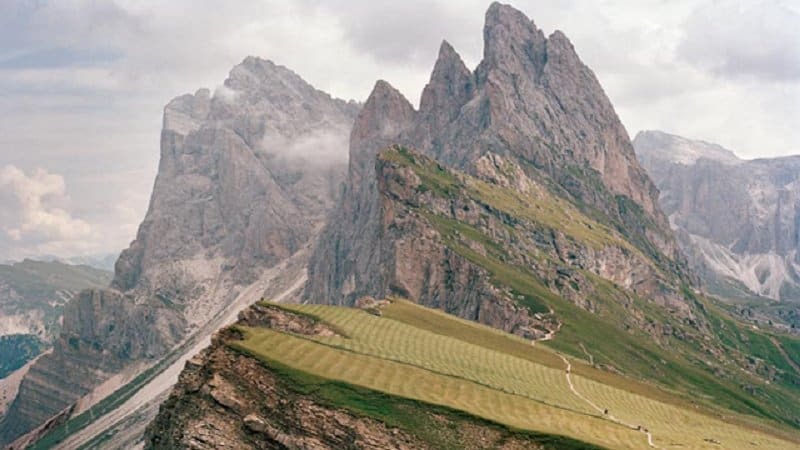 Every time we turned a page on Nat Geo, we could expect to see something as substantial as the 10 stunning photographs featured on this list. A unique mountainside that features one face sloping downwards entirely. You can find this in the eastern Alps and this photo was captured by Kevin Kunstandt. 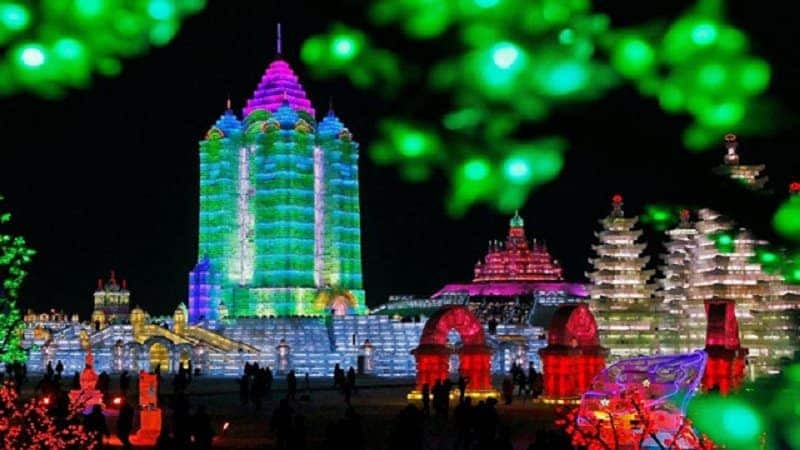 This stunning picture was taken by Zhang Dawei, featuring the stunning annual ice and snow festival that is held in China. The event features beautiful monuments, palaces, pagodas and sculptures and takes place over the course of a month. 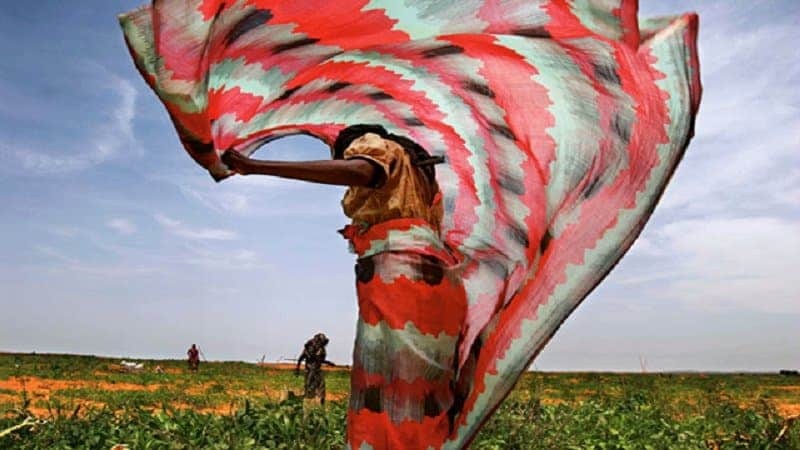 A photograph taken at a refugee camp in West Darfur. The women in the region participate in some extremely grueling labor only to get paid peanuts for their effort. 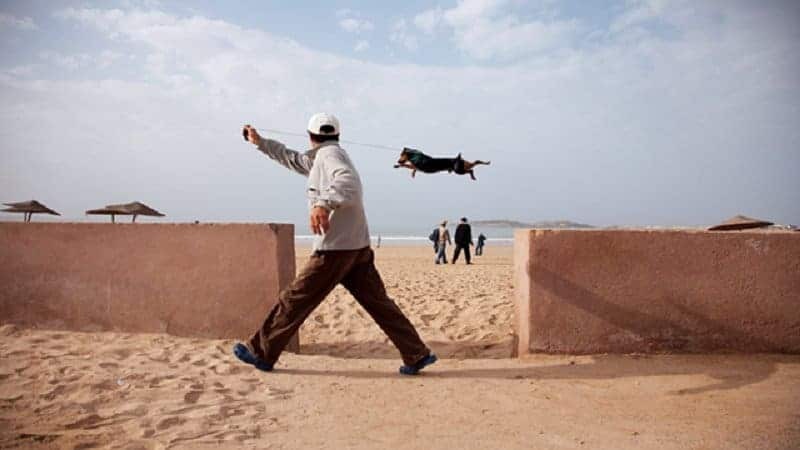 This beautiful picture of a dog leaping across the massive gap of a beach wall was taken by Alvaro Sanchez. You can also see the African coastline at a distance in this picture. 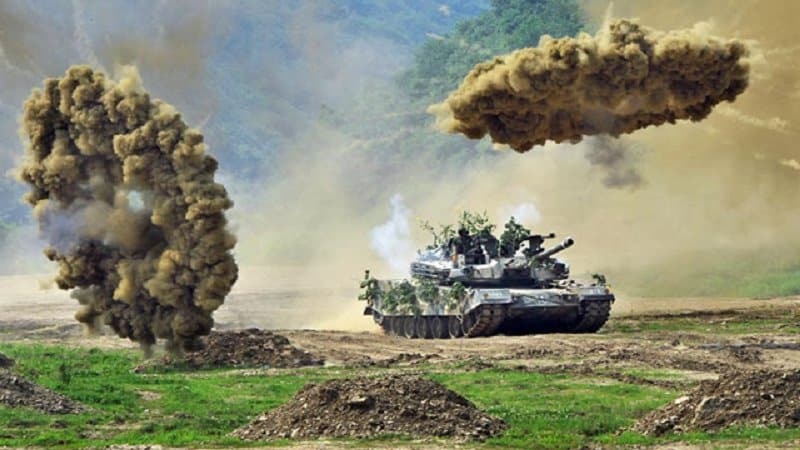 A brilliant photograph captured during military exercises being conducted in South Korea. This image was captured by Jung Yeon-Je. 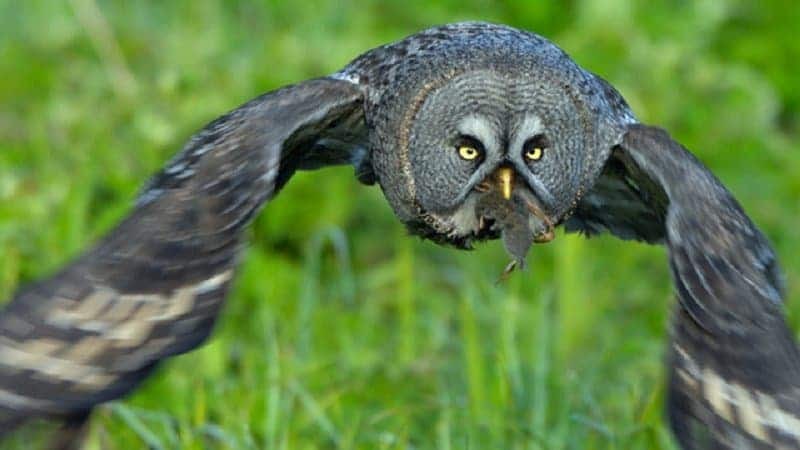 The color and texture of this Great Gray Owl can be visibly seen as he strikes accurately in order to pick up a vole. This picture was credited to Magnus Elander. 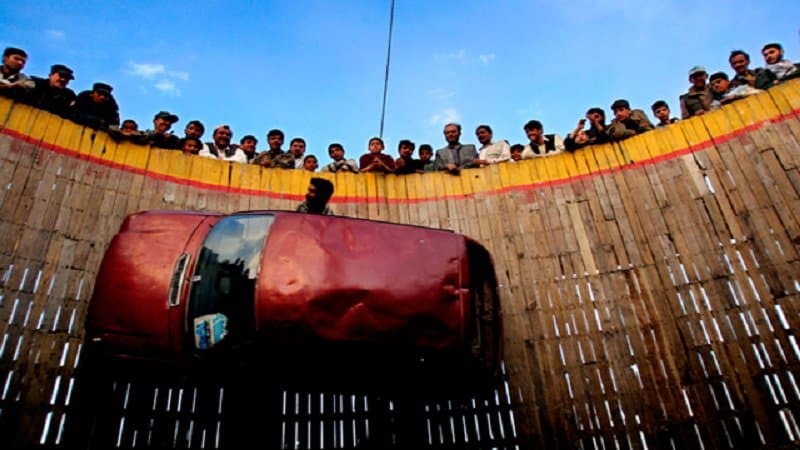 The wall of death is popular sight in fairs that happen in Eastern countries. This brilliant image was captured by Tomas Munita as he witnessed the event unfold first hand. He placed himself in the middle of a massive ring as a car furiously circled around him with enough speed to be able to move on a vertical wall. This brilliant image was captured by Jeff Kroeze at the Techachapi-Mojave Wind Resource Area. 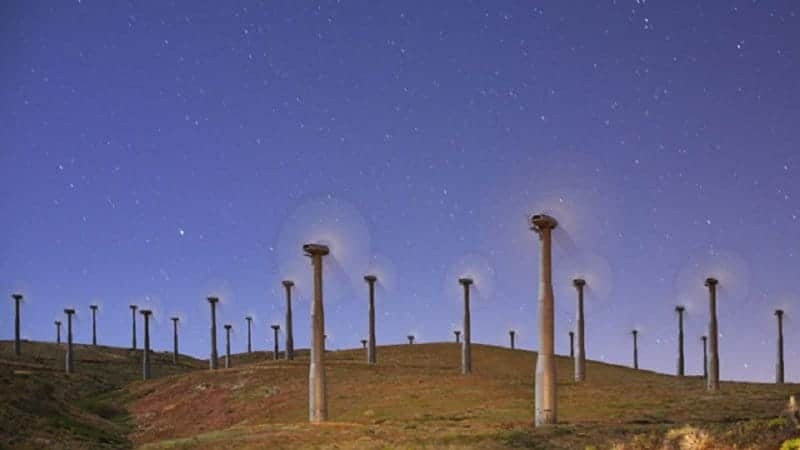 The 3,000-plus turbines in the region power nearly 250,000 homes every year. 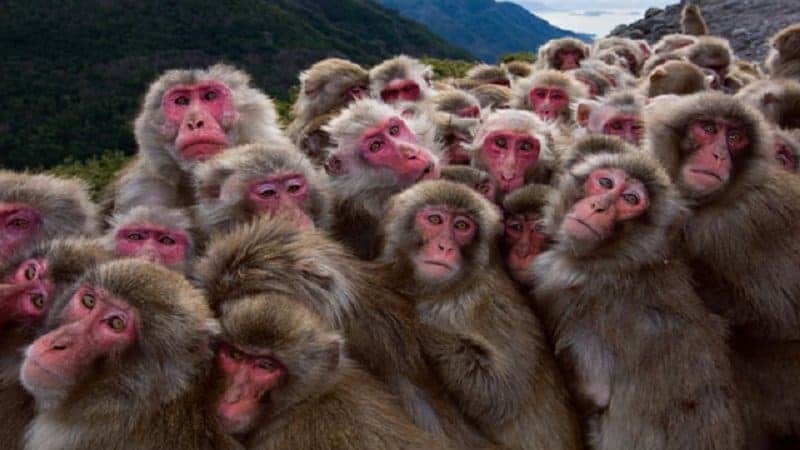 It looks like these Macaques are posing for a photograph, but in reality they are huddling together for warmth during the colder seasons. This image was captured by Yukihiro Fukuda. This amazing sight was seen during the harvest festival in Tamil Nadu. 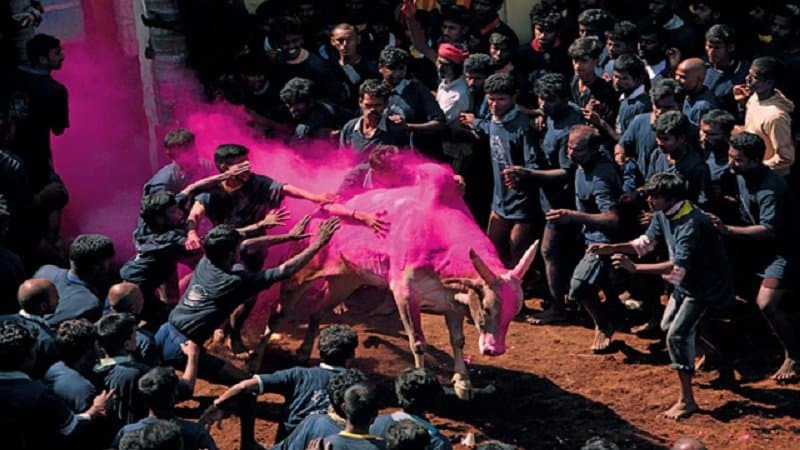 Jallikattu is a popular sport that is played during this season where local men try to hang on to a charging bull for as long as they possibly can. This brilliant image was captured by Palani Mohan.